Just wanted to give people a heads up that I won't be blogging for awhile as I am going on vacation. I'll be back on the 20th and I'm sure the rest of the blogging team will cover some great stuff while I'm gone. ^^ Goodluck everyone! New group lucky board from C'est La Vie for a natural themed dress. Board changes every 10 mins with wildcards. Goodluck. Garden of Dreams (GOD) is having a party! 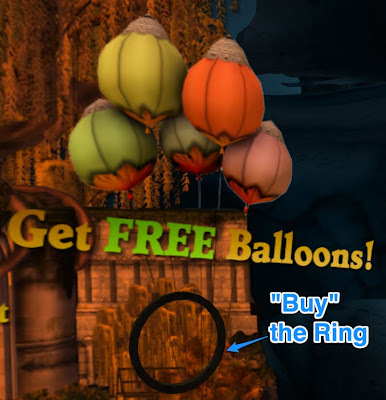 They are three years old now so you get free balloons and 50% off select things, like 50% off all 31 Skybox themes ... L$27,400 for the lot! Or get the 4 new "Fest" scenes for only L$1000 with a 5th scene included. That's like getting 5 scenes for half the price of one! Don't forget to grab the free scenes previously blogged here. New prizes in the lucky chairs at Sn@tch. Many to win and not all are shown here. They change every 5 mins with wildcards. Goodluck. Free Mesh from Curious Kitties on the SL Marketplace! 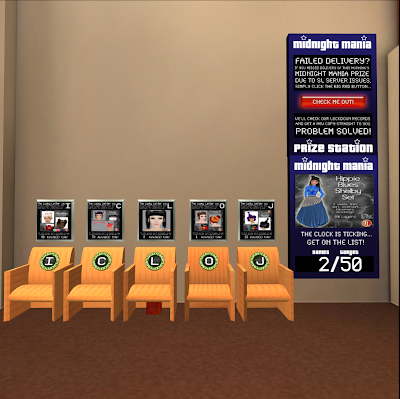 Click HERE for SL Marketplace Web page. 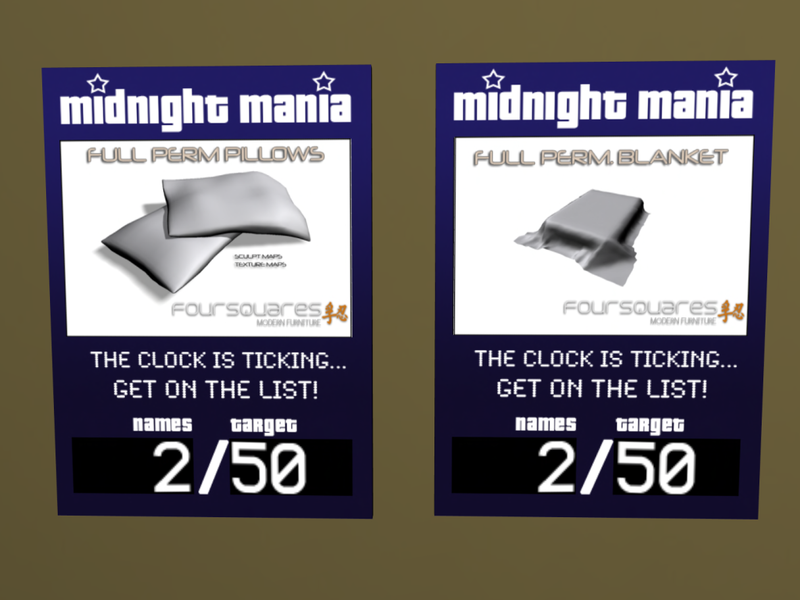 Three pieces of Full Perm sculpty furniture from Mesh Mode on the Marketplace (click here). Good news, Everybody! I heard from Damian today: "I would just like to point out that the sample hoodie only included the 'average' size, I do have a larger breast size for all the meshes I offer. 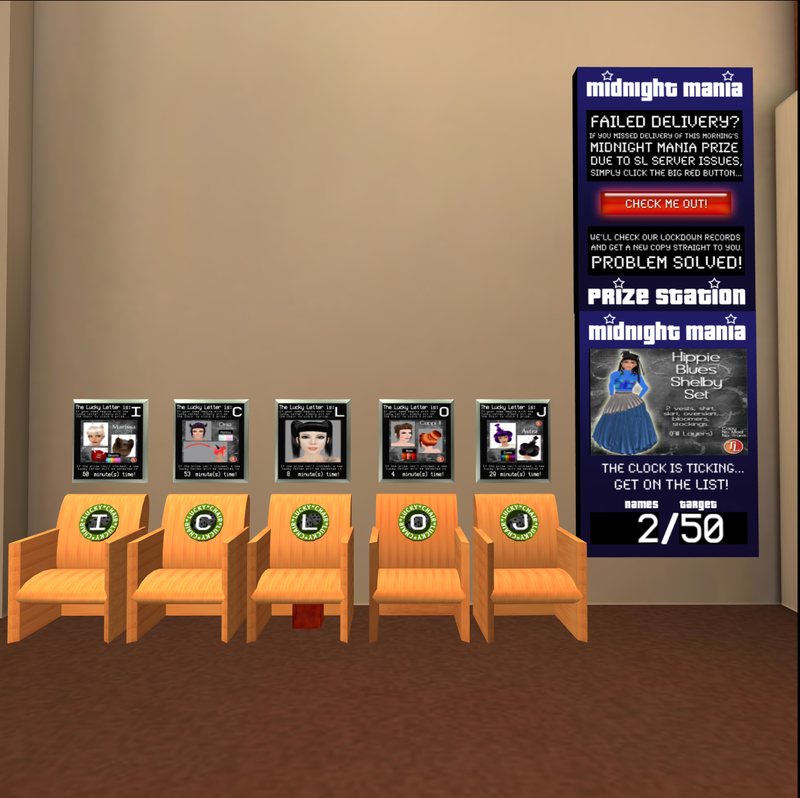 I will update the demo box later today and provide the other sizes :)"
Savoir Hair has a ton of free and dollarbie hair from various stylists in their shop at Ten Fifteen, plus Lucky Chairs and a Midnight Mania. Group lucky boards at The Sugar Court for various skins and other goods; also sorry for the censorship - trying to keep it clean XD. Also the group is free to join for a limited time and the boards change every 10 mins with wildcards and so many prizes that not all are shown here. Goodluck. New lucky boards for some cute dresses at Ruru@Pino. Boards change every 5 mins with wildcards. Goodluck. Cute lucky chair at Boof for some wacky goods. Chair changes every 10 mins with wildcards and some other fun things for sale at the shop too. Goodluck. New lucky board from NekoHama for a cute sign which you can choose what you want on it. Board changes every 10 mins with wildcards. Goodluck. Lucky board for a bread basket from Zenmai's Shop. Board changes every 10 mins with wildcards. Goodluck. New lucky board for some noms from Sushi Train Marketplace. Board changes every 10 mins with wildcards. Goodluck. New lucky board at Nukunuku Pocket for a cute cupcake. Board changes every 5 mins with wildcards. Really nice lucky boards at Alice Project for hairstyles. There's 4 hairstyles Brittany, Elsie III, Elsie IV(It's the one without bangs), and Persuasion. 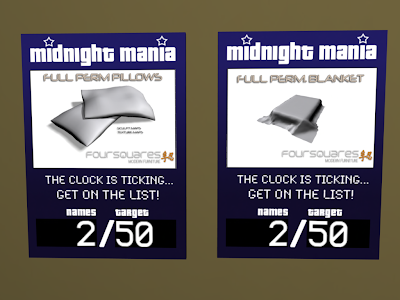 each hairstyle has 5 color packs inside the natural red, white, blonde, black, or brown. Boards change every 20 mins and chair changes every 10 mins. Goodluck. New limited time lucky board at ni.ju for Croon's infected ears! XD Board changes every 5 mins with wildcards. Goodluck. The lucky board from December at Sannomiya has had the prizes changed out. Board still changes every 10 mins with wildcards and not all prizes shown here. Goodluck. New group lucky board at Milky Way for a rose themed dress. Board changes every 10 mins with wildcards. Goodluck. New lucky board at Contraption. Board changes every 10 mins with wildcards. Goodluck.